Ad Victoriam Solutions (AdVic), today, announced its partnership with MuleSoft to provide consulting services for MuleSoft’s Anypoint Platform™. Anypoint Platform unlocks the power of API-led connectivity, enabling organizations to connect apps, data and devices more rapidly and efficiently. With Anypoint Platform, organizations can unlock new revenue channels, improve customer experiences and drive innovation. 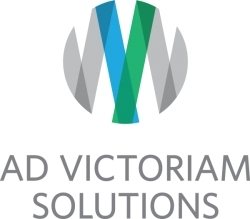 Atlanta, GA, April 09, 2019 --(PR.com)-- Ad Victoriam Solutions (AdVic), today, announced its partnership with MuleSoft to provide consulting services for MuleSoft’s Anypoint Platform™. Anypoint Platform unlocks the power of API-led connectivity, enabling organizations to connect apps, data and devices more rapidly and efficiently. Ad Victoriam is a certified MuleSoft and Salesforce Partner who provides mission-critical consulting services, from strategy through implementation. Our nimble team of professionals accelerate businesses by solving complex problems through cloud, data, and integration expertise. As a certified B Corp., we put purpose over profits, and have made a strong commitment to community. Contact Ad Victoriam Solutions for more information, 770-691-1642.